The right home appliance installation is the key to safety! Today household appliances are used in every apartment. 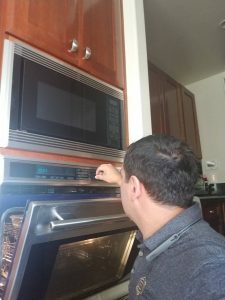 In order for TVs, refrigerators, water heaters, cook tops, hoods and ovens, as well as dishwashers or washing machines to work smoothly and served for many years, you should entrust the connection of home appliances to professionals. Many stores along with quality products from leading manufacturers also offer the installation of household appliances. The craftsmen bring everything, install it on a solid flat surface to avoid swinging and vibrations during operation, connect the devices to the power supply and, if necessary, to the water supply and sewage systems, carry out all the necessary settings, carry out a test run. If we talk about connecting embedded appliances in the kitchen, then it implies the correct location and a clear fixation of devices in the furniture, so that they look like a single whole and do not interfere with the normal functioning of each other. In this case, safety precautions must be observed so that the operation of new household appliances does not lead to the accidental ignition of the wooden surfaces of cabinets and the occurrence of fires. If you purchased household appliances, but did not use the services of the store’s masters for its installation, then you can contact us! We offer the connection of household appliances, at a high professional level. Moreover, our skilled masters boldly undertake the installation of home appliances of different manufacturers. 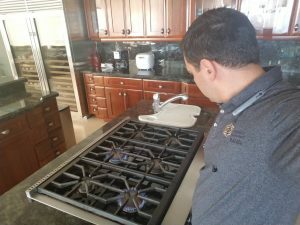 Using the offers of the company “Harbor Appliance Repair”, you can count on a competent, fast and inexpensive installation and connection of household appliances in the kitchen or in other residential premises. 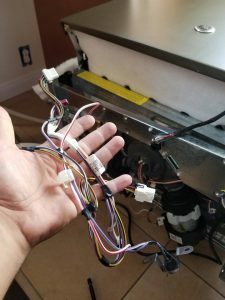 Installing embedded appliances – a modern approach! In addition, you can get free advice and useful tips on the operation and care of equipment, so that it lasts as long as possible. Improper functioning of household appliances can be affected by high levels of humidity or high temperatures near appliances. Therefore, experts prefer to locate electrical equipment away from water sources and open fire. Our company issues a document certifying installation work by specialists. So you can be sure of compliance with all rules for connecting electrical appliances, and household appliances will retain the benefits of free warranty repair.